The Royal Bhutan Police (RBP) in Thimphu revealed that the top five common crimes committed are battery, larceny, burglary, auto stripping and drug related offences. The crime rates in Thimphu have been increasing since 2016. The number of cases registered with RBP Thimphu has increased from 1,009 cases in 2016 to 2595 in 2018. Mobile snatching is one of the highest cases that has been on the rise since 2017. Starting from 2017 and the figures from the latest cases registered revealed that 573 cases of mobile related offenses were registered, of which 92 cases were charge-sheeted, 38 cases were withdrawn and 443 cases are ending. Thimphu police alone have arrested 1,180 people in 2018, of which 55 percent are youths and the number of youths arrested has increased from 49 percent in 2017. In addition, as per the police record, 42 percent of the total arrests were habitual offenders. Of the total registered cases in 2018, 46 percent were drug related offences, 18 percent were battery and 11 percent were larceny. Meanwhile, coming to students’ involvement in different criminal offences in 2018, 68 percent were involved in drug related offences, 12 percent in battery and 9 percent in larceny. While in 2017, 51 percent of students were involved in drugs related offences as per the records. An official from the RBP said that, in 2018, 74 percent of students committed the crime under the influence of intoxicants (62 percent under influence of drugs). “There are 529 licensed bar in Thimphu and there are many illegal bars which need to be monitored”, an official added. The record also states that in 2018, 11 percent of the cases were contributed by gewogs whereby Chang gewog contributed highest t followed by Meadwang and Kawang. Going by the individual cases, an official said that, crime against property has increased from 48 percent in 2016 to 51 percent in 2018.The record states that a total of 549 cases of battery were reported in 2018 with a decrease of 22 cases from 2017. Likewise, 140 cases on auto stripping were reported in 2018, but the cases hve decreased by 90 cases from 2017. About 52 percent of the crimes were committed by breaking window glass and windshields and 78 percent of the criminals targets light vehicles followed by taxi with 12 percent. On the other hand, an official said that case of larceny has gone up to 1,016 cases from 813 cases in 2017 where it was noted that a net worth of Nu 16.9 mn in 2018 was stolen. “Criminals attempt more for cash and ornaments, followed by theft of vehicles, bikes, and bicycle. However, 300 cases of mobile phones were also reported. We could recover almost all lost vehicles and bikes but we are yet to recover a few lost bicycles”, the official added. When it comes to drug related offences, 258 cases were registered in 2018 and total of 420 people were arrested (402 male and 18 female). Of the total, 278 people were arrested for abusing while 142 were arrested for peddling. Of 278 abusers, maximum are youths (19 to 24 years of age). From the total arrest, 186 are unemployed, 98 are employed and 97 are students. The arrest includes one housewife. All the cases related to drug abuse were being forwarded to BNCA while the peddling cases were forwarded to court for prosecution. The commonly used drugs are SP+, N10, thinner and marijuana. Police have seized drugs worth Nu 1 mn. 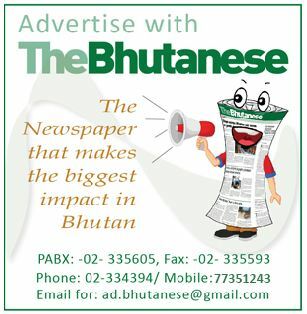 The suspects buy SP+ at the cost of Nu 1,600 from across the border and sell in Bhutan at Nu 3,500 per file. Likewise, they buy N10 at Nu 1,600 and sell it at Nu 3, 700, cough syrup at Nu 250 and sell at Nu 750. They buy Marijuana (3-4 grams) at Nu 700 (local price) and sell it at Nu 2,000. The price even goes up to Nu 10, 000 for marijuana (30-35 grams). In addition, the record shows that with the help of CCTV, they could detect 439 cases of traffic offences in 2018 and 53 cases in 2019. Similarly, they have detected 104 cases of criminal offences in 2018 and 22 cases in 2019. Some cases were detected live while many were detected upon review. Meanwhile, Lt. Col Lobzang Phuentsho said that when committing crimes, they create disharmony to self, to family and to the society. It also becomes a concern to the nation as is detrimental to security, disturbs developmental activities, drains out resources and affects the name and fame of the country. He also said that it will also hamper the country’s economy and tourism industry. He also said that maximum larceny and burglary takes place due to carelessness, no occupants and victims getting engaged in other activities. “We urge public to note their IMEI number when you buy a mobile. We also urge public not to buy second hand mobile as it could have been stolen”, he added. Nevertheless, he said that they have implemented various crime prevention strategies like public education programs through mass media, visibility policing, community policing and have carried out numerous sensitization programs in schools, with entities coming in contact with law such as detainees, guides, drayangs, karoake, discotheques & club owner, manager and staffs. He also said special policing activities like safe city CCTV Project, drug crackdown initiatives, anti-gang squad and disbanding of gangs, zebra crossing initiatives and zero tolerance to drink driving were also initiated. There are a lots of crime hotspots, he said. Norzin Lam, Changzamtog-Olakha and Babesa-Semtokha are the hotspots under the Thimphu Thomde whereas Chang, Meadwang and Kawang are are the hotspots in Gewogs.